Earlier this year, guitarist Noël Akchoté released a solo triptych, All I Have To Say, All I Should’ve Said, and All I Forgot To Say, recorded in March, April, and May, respectively, of this year. For an artist with so many hundreds of albums to his name, both as leader and as supporting member, it’s near impossible to describe something as a must-own or some kind of definitive statement. And while these aren’t necessarily the latter, this triptych does feel like a major statement and sincere attempt to speak, via guitar, as directly and plainly as possible. Because I’m not a guitar player myself, I often find it difficult to explain what’s special about a particular musician. But there is something so uniquely unquantifiable about Akchoté, both as a composer and a performer. In a brief interview, Halvorson describes his openness and wide range of music knowledge, and I’m most struck by the remarkable manner in which he synthesizes all this into his expressive style. 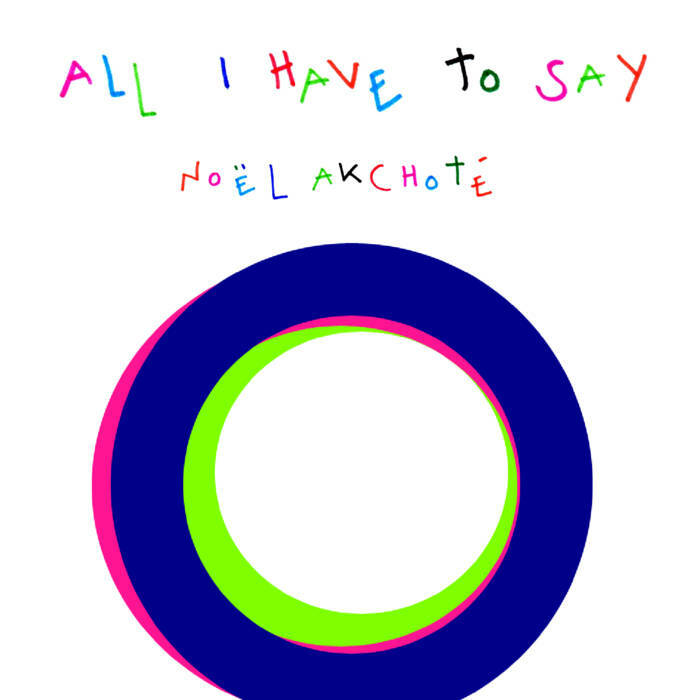 In that sense, this All I… series is absolutely a must-own and very much a statement release, allowing a listener to home in on Akchoté, very much exposed in this solo setting, and take him at his word.